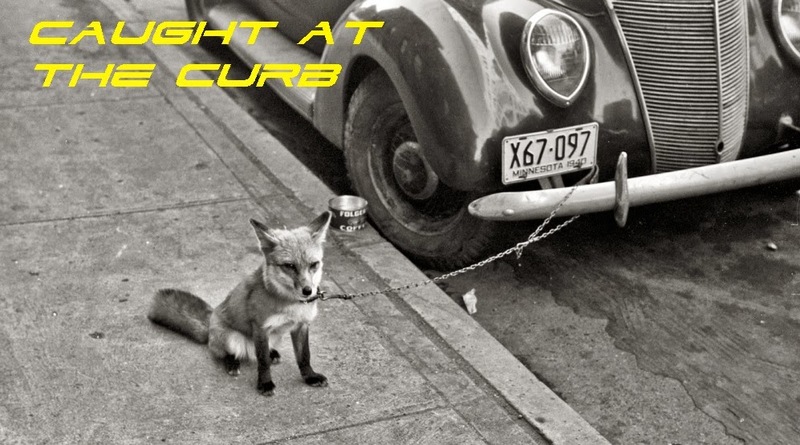 This is part of the "MY CARS" series. 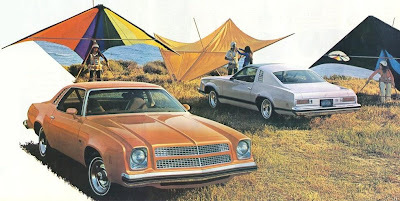 Back in 1975, I thought I would cruise into the local Chevy dealer just to look (and dream) about the new cars. I was pretty "up" on cars, but when I walked into the showroom, I saw a car that I didn't recognize. 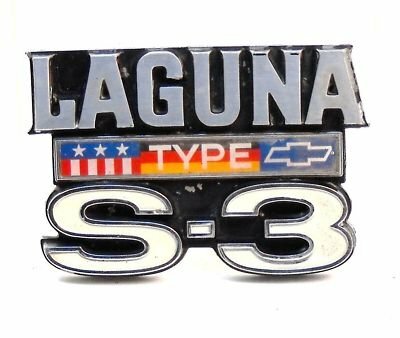 It was a brand new, silver Chevy Laguna Type S-3. I'd see the earlier '74s with the flat front, but I didn't know that they had changed it up for '75 in response to NASCAR's desire for something a little more aerodynamic. Sorry again for the crappy quality, but it's the only picture I have of it, and it was scanned from a 35 year old Polaroid picture. 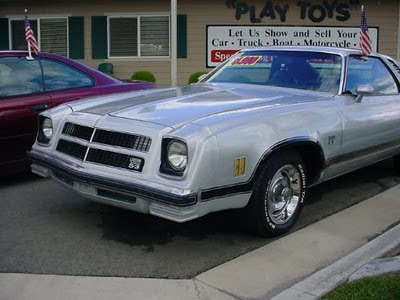 It was silver with black trim and black interior. It had a black half-vinyl roof and louvers(!) on the rear side windows. It had swivel bucket seats, a nice AM-FM stereo, Rallye Wheels, and stripes!!! It had a 350-2bbl carb. with an automatic in the floor console. 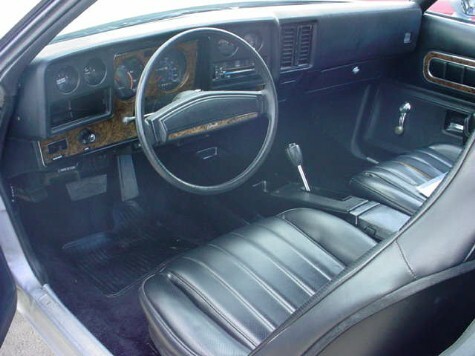 It had the Monte Carlo's dashboard that featured a full set of round gauges and round speedo instead of the Chevelle's rectangular speedo and idiot lights. It also had sway bars and that amazing rubber front end (which really works...don't ask me how I know). Not mine, but looks just like it. After driving old junkers for so long, I felt like a million bucks driving it.
. . . the front looks like a modern dodge product. Styles cycle around the decades. I remember that car. It was miles nicer than the pinto that I was driving at the time. 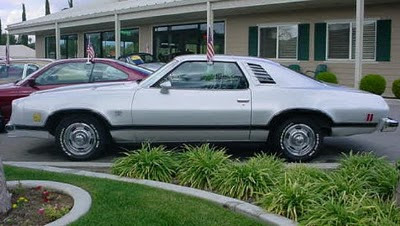 The only pic you got of your car - it's a classic! I mean, it's nostalgic and definitely worth the keepsake. D'you still have this car with you? 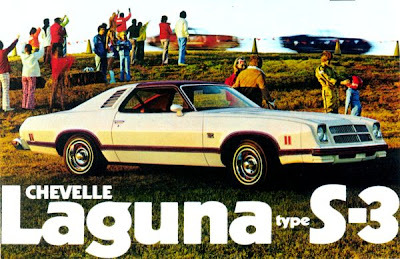 What would you have gotten if this weren't available at the dealership back then? Hermine...no, I do not have that car anymore. I bought it back in 1975 after all. 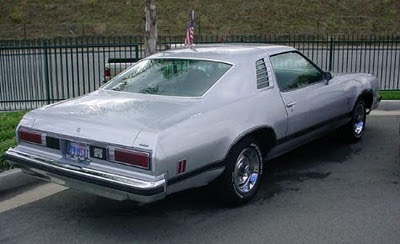 When I was looking at new cars back then, I almost bought a new AMC Pacer X just because it was new and different. I decided against buying any new car, but when I saw that Laguna, I just got it. It was a very expensive "impulse buy". Back in the day, Laguna was one of the most desirable cars out there. Now it's a collector's item. Good thing you still have a picture of your beloved car. Better preserve that 35-year-old Polaroid in an air-tight bag, and keep it in a dark box so that the colors won't fade. That way, your grandchildren can still see it a hundred years from now. 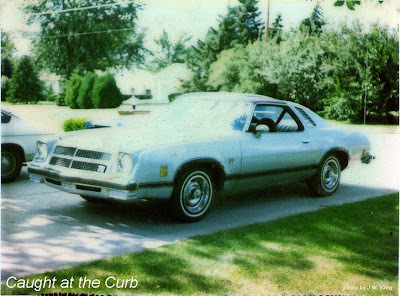 i have a 75 laguna that i am restoring i have had it for 25 years i got it form a little old lady back in 1987 she was the first owner . it is the orange and white ,, i just put a BB 396 in it last mo. no more 350 . Comment On This Blog or THE CAT GETS IT!! Ad Candy: Need A Tow Mister? What Will YOUR 1942 Car Be Like?? Top Gear China is here! The Tucker: Hey, I'd buy one! Honda PC 800 "Pacific Coast"
What do Japanese rednecks drive? You thought gas-electric hybrids were new? Have you checked your blinker fluid lately?